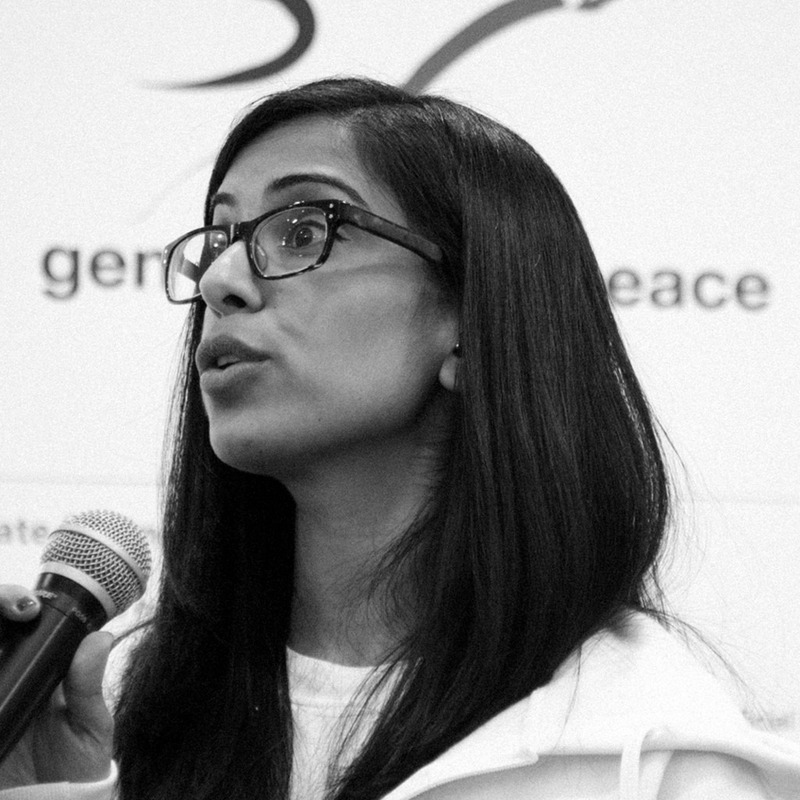 Nabila is the Senior Knowledge, Education and Outreach Officer for Generations For Peace. Her particular areas of focus are research and development, monitoring and evaluation, knowledge and education and community outreach. Her particular areas of focus are research and development, monitoring and evaluation, knowledge and education and community outreach. Nabila is from British Columbia, Canada and first joined Generations For Peace as an intern in 2012. She completed her undergraduate degree in Middle Eastern History and Humanities at Simon Fraser University in June of 2010 and by August 2010 enrolled at the Institute of Ismaili Studies (IIS) in London to pursue the Graduate Programme in Islamic Studies and Humanities (GPISH). Through this institute she undertook field research in several villages of Gujarat, India where she developed an interest in ground level development. Prior to this research she was also involved with PossAbilities (a Canadian based non-profit seeking to erase the stigma surrounding mentally, developmentally, and physically challenged individuals) to which she attributes her passion for development. In 2013 she completed her MPhil in Modern South Asian Studies at the University of Oxford granting her a comprehensive knowledge of South Asia to add to her familiarity with the Middle East and North Africa. Nabila’s recent work for Generations For Peace includes supervision of research in Bosnia and Herzegovina and Ghana, ongoing work on curriculum development and organisation wide knowledge management.